On 24 September 1908 sailed from New York to Vera Cruz on SS "MEXICO". On 16 Jan 1909 sailed from New York to Havana, Cuba (Raymond's second recording expedition). On 20 Jan 1910 sailed on SS "VERDI" from New York to Buenos Aires (Argentina). Via Bahia, Rio de Janeiro and Santos, Brazil-Montevideo, Uruguay and arrived in Buenos Aires on 14 Febr 1910 (25 days on board ship). "His Master’s Voice” In America by Frederick O.Barnum III (General Electric Company. Camden, New Jersey, 1991). 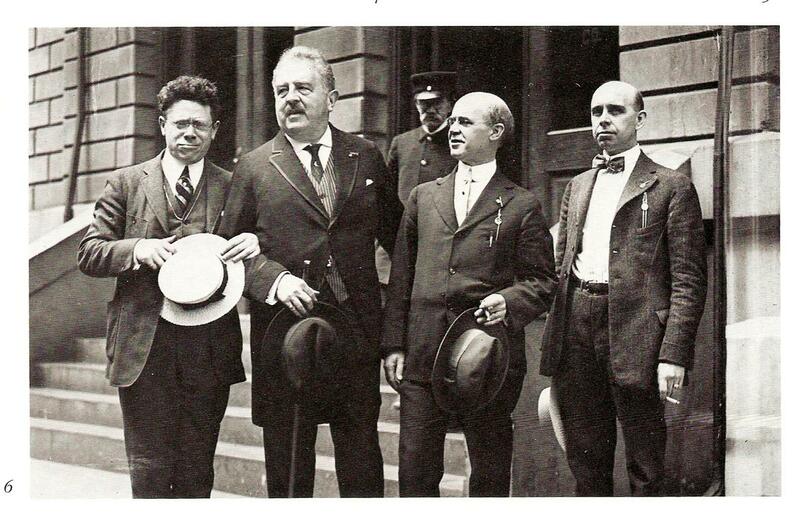 From left to right: Joseph Pasternack, composer Victor Herbert, recording engineers Charles and Raymond Sooy.